China's People's Liberation Army-Air Force planes conducted military drills around Taiwan Friday aimed at intimidating the island's "independence forces," according to reports. Focus Taiwan reported that the aircraft involved in the exercise included the Xian H-6K bomber, Sukhoi Su-35 and Shenyang J-11 fighters, the Shaanxi Y-8 transport plane, Kj-2000 early warning aircraft and Tupolev Tu-154 electronic surveillance aircraft. It's unclear how many of the aforementioned aircraft were used during the drill. Taiwan's Defense Ministry noted that this was the first time China's Su-35 fighters and H-6K bombers had flown through the Bashi Channel, which separates Taiwan from the Philippines. Responding to the drills, Taiwan's Air Force deployed its Indigenous Defense Fighter and F-16 jets to track and monitor Chinese maneuvers "to ensure defense security." Speaking to the Global Times, Song Zhongping, a Chinese military expert, said the drill proved that "China's Su-35 fighter jets are combat-ready." "With a stronger command and strike capability, the Su-35's participation provides a stronger deterrence to 'Taiwan independence' forces," Song added. 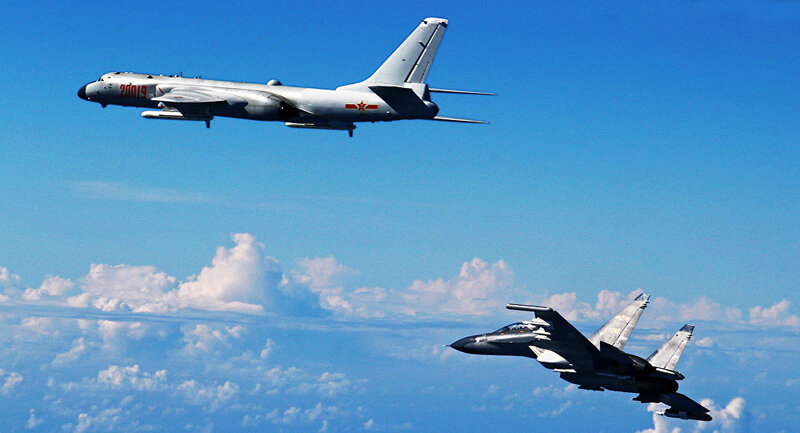 In a statement posted to its official microblog, the PLA-Air Force noted that bombers and surveillance aircraft flew in opposite directions around Taiwan as a means of displaying "a new upgrade in combat capabilities," Business Insider reported. According to Focus Taiwan, the statement added that the Chinese Air Force would continue to conduct similar drills around the island and that it was confident that it would be able to "defend China's sovereignty and its territorial integrity." 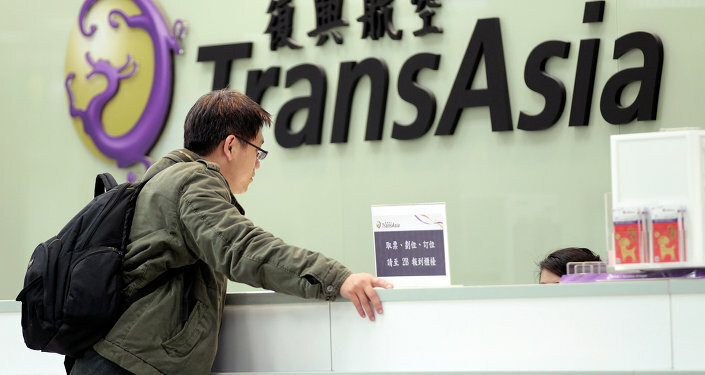 In China's eyes, Taiwan is a wayward territory that must and will eventually be brought back into the fold, and military patrols of the island by Beijing have occurred more frequently ever since President Tsai Ing-wen, of the pro-independence Democratic Progressive Party, was elected in 2016. The latest drill comes weeks after China's air force conducted a similar exercise last month that involved a pair of H-6K bombers flying over the Miyako Strait. Taiwan's yearly live-fire drills, which will this year include Taiwan's Coast Guard and National Airborne Service Corps, are expected to start on June 4. 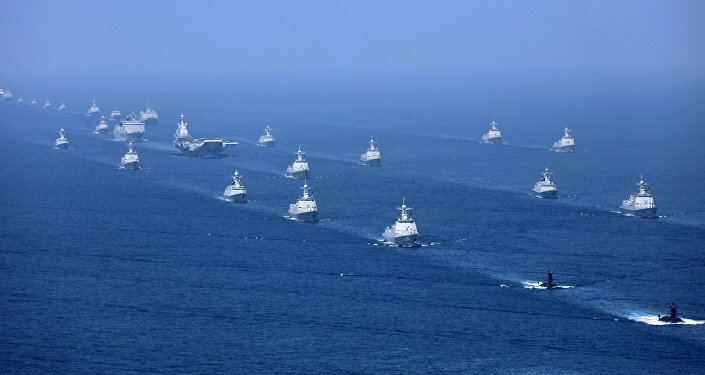 Chen Chung-chi, the spokesperson for the island's Defense Ministry, stressed that the main goal of the upcoming drills will be "to make any Chinese communist military mission to invade Taiwan fail."